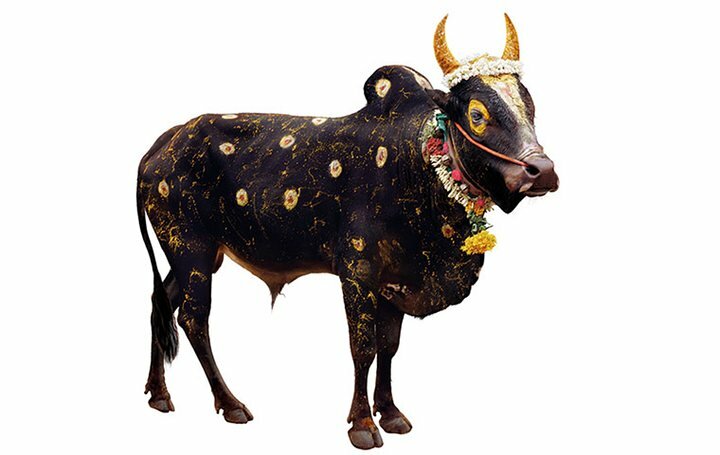 Toni Meneguzzo, an international renown photographer and a very likeable guy from Italy recently presented his latest impressive and personal project called „Go Shala“! 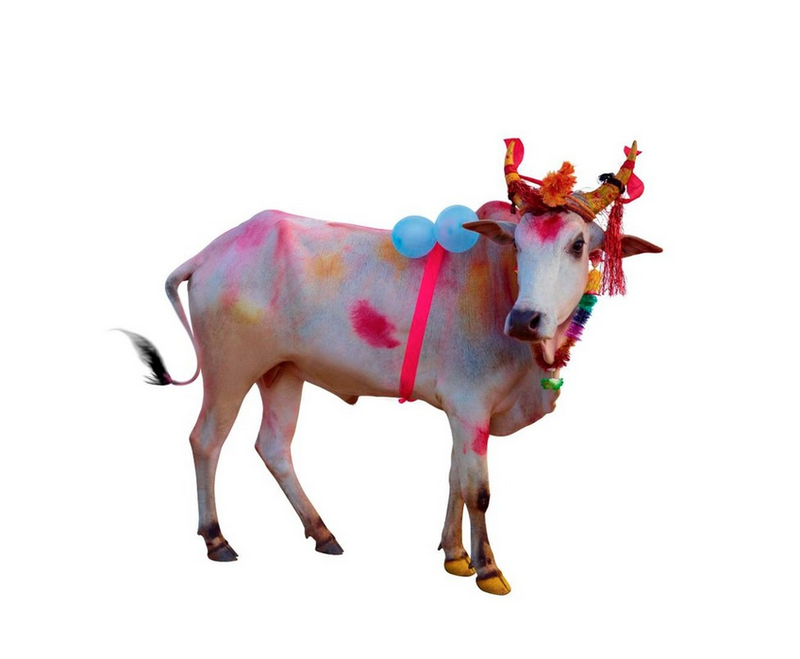 In the Berlin fashion store Quartier 206 you can find some of those extraordinary 90 pictures of holy cows on display. 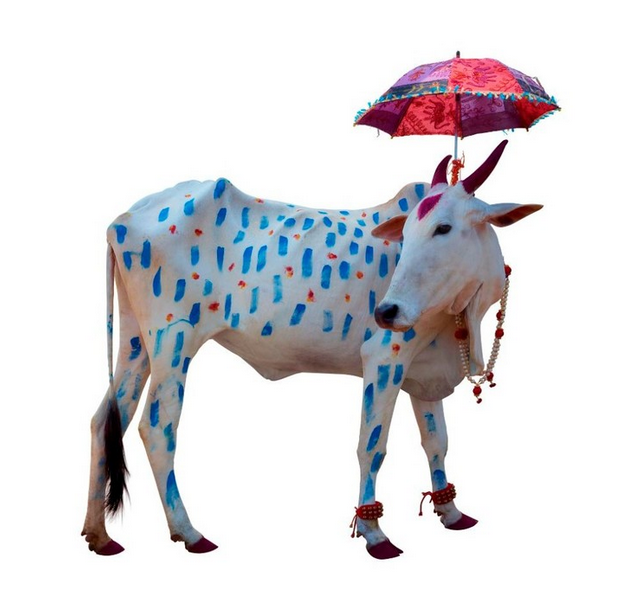 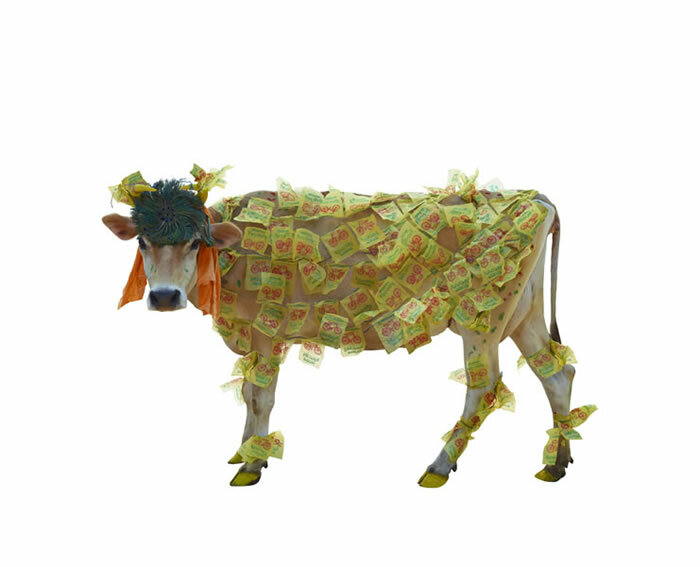 „Go Shala“ is an anthropological research on the Hindu tradition of Holy Cows, uniquely painted and dressed only during specific ceremonies and celebrations. 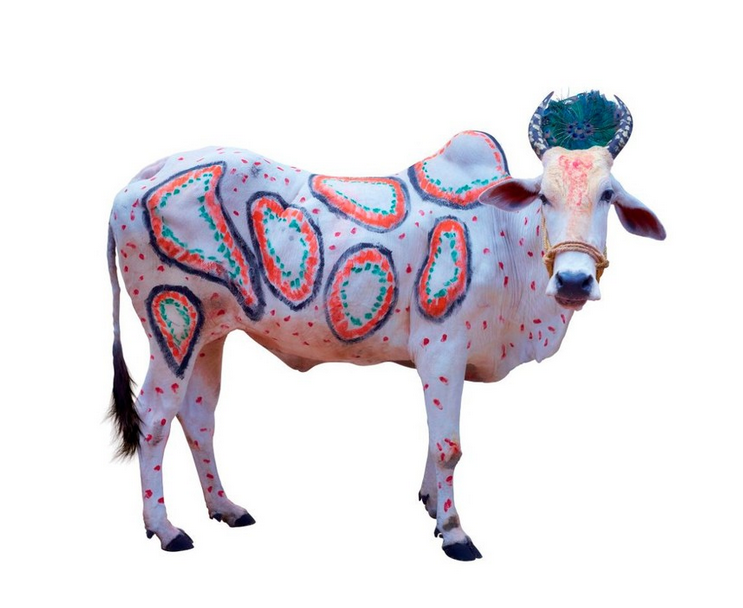 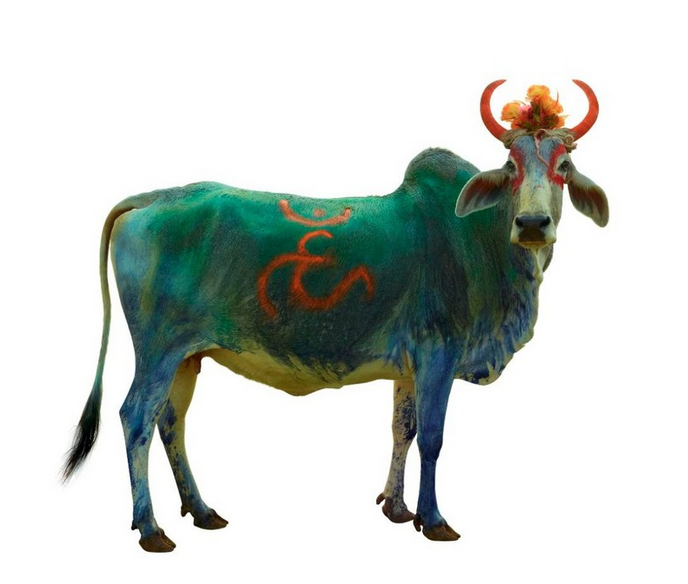 Collecting these images of the Hindu Cows in India took Toni five years overall – travelling throughout the country and always on the look out for these amazingly painted animals. 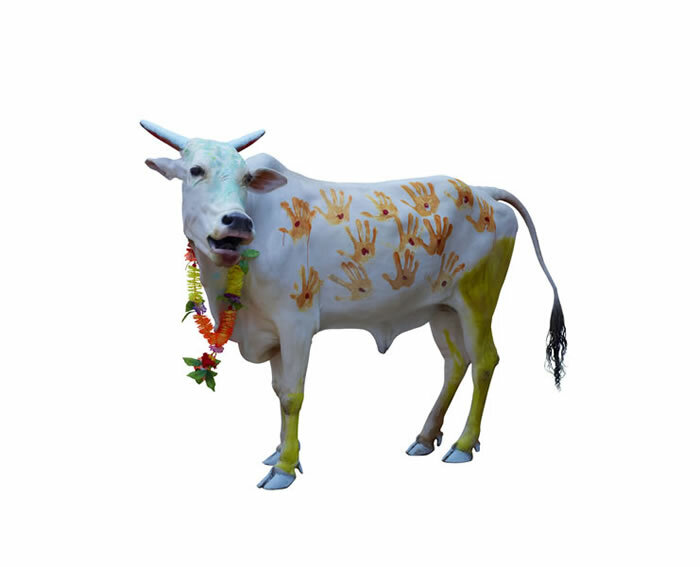 „Adorned with garlands of fresh flowers, with decorations of colourful shiny trinkets, the cows are prepared, and this is the most striking design element, painting their coat and horns with organic pigments that have specific references: the pink is used to reflect the color of the skin of Radharani, who is the companion of Krishna, the shepherd of the cows; the yellow of turmeric is the solar divinity that illuminates the world, and so on. 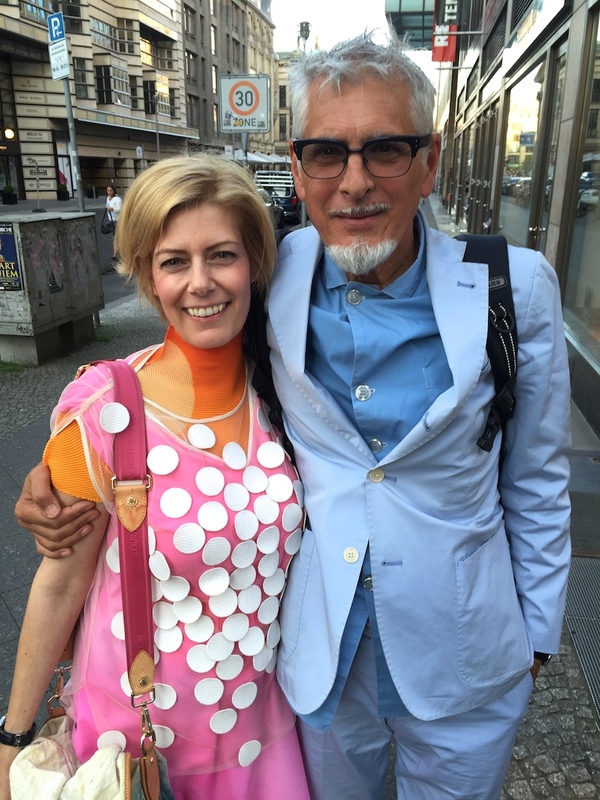 All photos by Toni Meneguzzo.